Polydimethylsiloxane (PDMS) has been synthesized by ring-opening polymerization of octamethylcyclotetrasiloxane (D4) in microemulsion with acidic catalyst. The structure and properties of microemulsion were characterized by Transmission Electron Microscopy (TEM), Fourier Transform Infrared Spectroscopy (FT-IR), Photo Correlation Spectroscopy (PCS). The effect of the variation in pH value, amount of catalyst, emulsifier and monomer dropping rate on the properties of microemulsion were investigated and discussed. The results showed that the particle size of the latex becomes smaller, and the distribution size becomes wider with increasing the content of catalyst and emulsifier. When pH value changed, the reaction rate of ring-opening of D4 was faster with strong acid than that under the weak acid condition. The emulsification of 2 % OP-10 (Alkylphenol polyoxyethylene ether) and 3.0% DBSA (Dodecyl benzenesulfonic acid) reached to equilibrium in microemulsion. As the amount of OP-10 increases, the size of particles lowered and their corresponding distribution widened. It is observed that emulsifier (OP-10) does not affect the transparency of the microemulsion in the case of the application of DBSA. As the monomer dropping time increased, the grain size diminished and the size distribution widened. PCS results showed that the smallest particle size was around 20nm. Taking into account of the stability of the microemulsions, the dropping time of the monomer was around 30 min. Organosilicon materials are widely used in various fields mainly because of their high hydrophobic nature, flexibility and age resistance . Polydimethylsiloxane (PDMS) is one of the most important organosilicon materials, which can be can be used to manufacture as a series of industrial and civil products, such as a lubricant, leather glossy agent, and paint film polishing agent. Among different methods for their production, ring-opening polymerization of cyclic organosiloxanes (D4) is particular significant due to the low cost of the necessary monomers and the simplicity of the polymerization processes , something that may be accomplished by either base or acidic initiators[3-5]. Acidic catalysts prevail over basic catalysts in dealing with polysiloxanes bearing sensitive functional groups like Si-H groups, which will be destroyed by basic catalysts . Most studies reported in literature deal with ring-opening of D4 initiated by strong protic acids such as H2SO4 and HClO4 or by Lewis acids , and a very simple process to synthesize well-defined PDMS consists of polymerizing the monomer directly in emulsion. However, PDMS latexes prepared by the conventional emulsion polymerization are usually unstable due to their large particle size in the order of 1000 nm . Since Stoffer and Bone  reported microemulsion polymerization to prepare polymer in 1980, microemulsion systems have been widely investigated for their application in various technological processes such as synthesis of nanomaterials, drug delivery, degradation of organic pollutants and synthesis of organic compounds [11-13]. For the microemulsions based on PDMS, the latexes in microemulsion are the most transparent and their particle size are in the order of 0–100 nm. PDMS microemulsions with various microstructures and architectures are useful in industry mainly due to their absence of toxicity, high chain flexibility and low surface energy. The PDMS microemulsions are thermodynamically stable mixtures of oil and water and are stabilized by surfactant . Medium or short chain alcohols (propanol to octanol) are commonly added as co-emulsifiers to decrease the rigidity of interfacial membranes and prevent the formation of liquid crystal phases and metastable gel or macroemulsion phases . Great improvements have been achieved in microemulsion polymerization to synthesize PDMS polysiloxanes. However, the contents of emulsifier and co-emulsifier were too high in microemulsion. In this paper, we describe a pathway to prepare functional organosilicon microemulsions, formed via the ring opening of D4 with the acid catalyst condition, using the general emulsion polymerization method. It means that the microemulsion was produced in the presence of water, monomer, surfactant and catalyst by the shearing action without co-emulsifier. DBSA, C12H25C6H4SO3, has been known for a long time in the application of medicine, textiles, and chemical engineering field because of its low cost and high performance. In this work, DBSA was chosen as catalyst because it is an efficient acidic initiator for the ring opening of D4. Due to its surfactant-like structure, DBSA also acts as emulsification roles in the microemulsion. The variation in pH, amount of catalyst, emulsifier and monomer dropping rate on the properties of microemulsion are discussed. Octamethylcyclotetrasiloxane, [(CH3)2SiO]4, D4, obtained from Xinghuo organicsilicone Plant in China, was distilled before the use; mp 16-19℃, b.p. 175℃/760mmHg, 1.3960 and 0.955. A non- ionic surfactant, (OP-10), Alkylphenol polyoxyethylene (10) ether, supplied by Xinghuo Company in China, was used without any further purification, ﹥95%, and pH=5.0~7.0. Dodecyl benzenesulfonic acid (DBSA), C12H25C6H4SO3, purchased from Henan province in China, acts as catalyst, industrial material; mp 16.3℃; bp 286℃/760mmHg. Water was distilled and deionized before the use; pH=5.0~7.0, electrical conductivity≤0.5μs/cm (25℃), and specific resistivity ≥2MΩ. Catalyst, non-ionic emulsifier and distilled water were filled into a four-neck round-bottom flask, equipped with condenser pipe, thermometer, nitrogen gas, and stirrer system. D4 monomer was dropped into the flask and measurement of the reaction time started. The preparation of polysiloxane microemulsion was around 80 ℃. The polymerization was continued thereafter in batch for 4 hours. The schematic of the reactor figure is shown in Fig. 1. As a result of the reaction taking place in the reaction vessel, a semi-transparent and blue silicone microemulsion was formed. The detail recipes of polysiloxane microemulsion are shown in Table 1. FT-IR Spectra was recorded on an M-80 SPECORD (China) spectrophotometer using KBr tablets. The particle size and size distribution were characterized by PCS (Loc-FC-963, Malvern Company, U.K). The particle configuration was exhibited by TEM (MSX-100, JEOL Ltd in Japan). UV-visible Spectrophotometer, (Spectrum-1, Perkin-Elmer in USA), showed the transparency of silicone microemulsion. The acidity of the reaction mixture was exhibited by acidometer (PHS-4, Longtuo Company in China). Where W1 is mass of the polysiloxane, W2 is the monomer mass. Where η is intrinsic viscosity of polymer solution，0.66, K is proportionality constant, which is related to the temperature, solvent and species of polymer，20 × 10-3, Mη and α are the mole mass and coefficient factor, respectively. The properties of mechanical stability, chemical stability, and storage stability of the final latexes were studied. Mechanical stability was determined at room temperature with a high speed (3000rpm) stirrer. Chemical stability was determined at the conditions of alkaline and Ca2+ solutions for 48 hours. The stability of microemulsion was characterized by”+”, and the instability by”—”. Cationic (H+) bulk ring opening polymerization of cyclosiloxanes has been known for a long time . It is generally believed that there are two polymerization forms in cationic polymerization of cyclic dimethyl polysiloxane, addition polymerization and condensation polymerization, as shown in Scheme 1. The first step involved in ring opening of D4 in the presence of the acidic catalyst and a polysiloxane oligomer as hydroxyl-terminated polysiloxane was obtained as shown in Scheme 1 (1). Then, the oligomer, which forms a weak ion pair, opens the monomer ring and extends the polymer chain in the propagation step as shown in Scheme 1 (2). The condensation polymerization occurs among the polymers with ion pair shown in step 3. Meanwhile, linear polysiloxane terminated with hydrogen is formed when the attack is done by the terminator, while cyclosiloxane is formed when the attack is done by backbiting. Backbiting reactions produce small oligomer cycles and it is a contributing factor for the results of the 70 % final conversion of D4 monomer . As a result, the reaction as a whole turns out to be a competing equilibrium reaction of cyclosiloxane and linear polysiloxane . In microemulsion, different chemical reactions take place on the polymer particle surface and inside the particle. Main chemical reactions by which polymer is formed (initiation, propagation and termination) occur on the particle surface . FT-IR Spectra of pure polysiloxane was recorded using KBr tablets. The results of infrared transmittance of silicone polymer are shown in Fig. 2. An absorption peaks characteristic for silicon oxide were identified at 1023.65cm-1 band. The characteristic absorption peaks at 1259.72 and 800.70cm−1 are typical for Si-CH3. And meanwhile, 2961.73 and 2853cm−1 in the spectrum were assigned to the asymmetric and the symmetric vibrations of -CH2. The peaks at 1446.55cm-1 and 1411.03cm-1 can be assigned to the absorption of CH2 and Si–C2H5, respectively. The characteristic absorption bands at 1944cm−1 and 697.92 cm-1 were ascribed to Si-H group and Si-C, respectively. In addition, the peaks at 3697.88, 1034 and 864.47 cm-1 are the stretching vibration of Si–OH. In short, the bands at 1021-1090, 3697.88 and 1259.72 are the characteristic bands of Si-O, Si-OH and Si-CH3, respectively, confirming that PDMS latex has been produced in the microemulsion polymerization. A series of modified polysiloxane microemulsion samples were prepared with different amounts of catalyst (1.0, 2.0, 3.0, 4.0 and 5.0 wt %) and 2.0% OP-10, and the dropping time of D4 monomer was about 30 minutes. Table 2 shows the effect of catalyst on the transparency, particle size and size distribution of microemulsion. The average particle size is in the range of 100nm. The transparency and size distribution get higher as the amount of catalyst increases, while the particle size presents downtrend. The particle size reduced to 22.7nm when the content of catalyst went up to 5.0% of the microemulsion. A likely explanation is related to the function of DBSA in the microemulsion. It is possible that the DBSA molecule, which has hydrophile (-SO3H) and hydrophobic functional groups (C12H25-), plays a dual role in the microemulsion: catalyst and emulsifier. DBSA is a typical amphiphilic molecule, which naturally is adsorbed at the oil/water interface, with the hydrophilic head-groups protruding towards the aqueous phase whereas the hydrophobic tail-groups remain in the oil phase . On the one hand, the increase in DBSA content results in stronger acidity and makes the number of oligomer active centers increase. Along with the increase of acidity, the rate of polymerization increases and the reactions among the particles become vicious making the size distribution broaden. On the other hand, as the content of DBSA increases, the surfactant effect of DBSA increases the average surfactant coverage of particles and provides more micelles, which makes the particle size decrease and transparency of the microemulsions increase. The stability of the microemulsions is also discussed with different chemical and physical treatment. As it is evident, the microemulsions show instability when the amount of catalyst is below 3.0wt%. With increase in catalyst content to 3.0-4.0wt%, the microemulsions show stable properties. However, when the amount of catalyst is above 4.0wt%, the microemulsions show signs of instability again. This can be explained by the fact that when DBSA content is below 3.0wt%, due to weak emulsification caused by smaller amount of emulsifier, the microemulsions show signs of instability. As the amount of catalyst increases to 3.0-4.0wt%, the emulsification process of microemulsion is strengthened because of the surfactant role of DBSA. Further increase in catalyst content results in greater instability of microemulsions. This may be presumably explained by the acidic effect of the microemulsions. Increasing the amount of the catalyst can raise the acidity of microemulsions, which upsets the equilibrium and lowers stability of microemulsions, even results in the microemulsions demulsification. Taking into account the stabilization of the microemulsions, the content of acid catalyst was no more than 5.0 wt% of the microemulsions. This can be proved in Fig. 3. Fig. 3 (a) and (b) shows the particle morphology with 1.0 wt% and 5.0 wt% of catalyst, respectively. As seen in Fig. 3, with the lower amount of the catalyst, the particles were in a sparse state and an average particle size of 40 nm was obtained, and no agglomeration was observed. However, in higher content (5%) of DBSA the particles conglomerate, as shown in Fig. 3(b). This is in excellent agreement with the discussions of microemulsion stability, as shown in Table 2. Thus, it can be concluded that the microemulsions show stable properties when the amount of catalyst is 3.0 wt%~4.0 wt%. The final conversion of D4 monomer at different catalyst is presented in Table 3. As seen in Table 3 the reaction could reach to its equilibrium until the conversion of D4 monomer reaches around 70%-80%. Although by increasing the catalyst content, the reaction could reach to its equilibrium with a higher monomer conversion at a faster rate, the DBSA catalyst does not affect the final conversion of D4. This can be explained by increasing the concentration of active centers with the increase of initiator concentration since DBSA serves as initiator. This results turn out in relatively good agreement with the conclusion presented in previous report . The effect of catalyst content on polysiloxane molecular weight was investigated as shown in Fig. 4. The maximum molecular weight is 2.6×105 when the content of catalyst is 2.0 wt% in the microemulsion. It might be due to the point that DBSA has both functions of catalyst and emulsifier, and there are two competing effects of DBSA needed to be understood. At the preliminary stage of microemulsion polymerization, DBSA plays the leading role as acid catalyst. The reaction rate and the number of oligomer increase as the amount of catalyst increases. Condensation reaction is easily carried out among the oligomers. Therefore, the molecular weight increases rapidly and maximizes when the content of DBSA is over 2.0 wt%. As the content of DBSA increase linearly, it plays the leading role as emulsifier. Redundant DBSA acting as emulsifier dilutes the concentration of Si-OH of oligomer and baffles the condensation reactions among the oligomers. As can be seen from Fig. 4, the molecular weight drops as the content of DBSA increases. It can be concluded that catalyst concentration has an evident effect on the stability of microemulsion and on the average molecular weight, thus demonstrating that DBSA plays a dual role in the microemulsion. Table 4 shows the effect of emulsifier (OP-10) on the microemulsion. These syntheses differed in the amount of emulsifier (OP-10) used, while the DBSA catalyst remained unchanged. Without emulsifier OP-10, larger particle size and wider size distribution in microemulsion occur. Also, it proves that the catalyst shows the surfactant effect to help the stability of the dispersion of particles in the microemulsion. As the amount of OP-10 increased, the particles size decreased and the size distribution widened. When the emulsifier content was lower or without the emulsifier OP-10, there were fewer amounts of particles and the particles were prone to grow on the quondam molecular chain, which resulted in the larger particle size and wider size distribution. As the amount of emulsifier increased, more particles were produced. Condensation reaction, acting among the particles, resulted in the smaller particle size and wider size distribution. As seen in Table 4, particle size of microemulsions firstly decreases sharply from 40 nm to 28nm when the emulsifier OP-10 content is fewer than 2.0%. With further increase in the content of OP-10 (>2.0%), the particle size decreases slowly. It might be ascribed to the fact that the emulsification of OP-10 (2.0 %) and DBSA (3.0%) have reached to equilibrium in microemulsion. Also, it is observed that emulsifier (OP-10) has no obvious effect on the transparency of the microemulsion in the case of the application of DBSA. This observation further proves that DBSA in the polymerization system plays a dual role. In order to have a general idea of the effect of pH values on the reaction process, preliminary experiments were carried out with varied pH values. NaHCO3 solution acts as the regulator of pH values. In 2 hours, the conversation rate of D4 is higher under the strong acidic condition than that in weak acidity. It is likely explained that the strong acid makes more H+ , which can produce more active centers, causes the higher rate of ring opening of D4. In contrast, the reaction rate was slower and the conversion percentage was obtained at lower values under the weak acidic condition in 2 hours. A series of polysiloxane microemulsions (10.0% D4, 3.0% DBSA, and 2.0% OP-10) were prepared by the monomer dropwise method with different dropping rate and the effect of dropping time on the microemulsions was investigated, as shown in Table 5. It can be observed that as the dropping time of D4 prolonged, the particle size increased and the size distribution broadened. It can be ascribed to the point that the polymerization in microemulsion depends on the monomer feed rate . According to the proposed mechanism of emulsion polymerization, it may be assumed that the polymerization rate depends on the number of active polymerization sites at the particle surface and on the monomer concentration at the particle surface, where the propagation occurs. When the feed rate is slower, it is easily to form particles in different sizes. The subsequent monomer dropped into the microemulsion, reacted with the varisized emulsion particle, which resulted in the smaller particle size. The probability of the reactions among the active polymerization sites increases, resulting inwidening of the particle size distribution. Also, it can be seen from Table 5 that the particle size decreases sharply from around 70 nm to 20 nm when the dropping time is over 30 min. It might be explained that the faster feed rate (less than 30 min) creates larger size of polymer particles, which reduces the average ratio of surface coverage of the surfactant. It has reported that the emulsions containing significantly larger particles, whichwere caused by the slower feed rate, seemed not to be stable. The observed instability was explained by particle coalescence through collision and by Ostwald ripening effect (transfer of monomer from small particles to larger particles to reduce the surface energy of the system) . Taking into account of the stability of the microemulsions, the dropping time of the monomer around 30 min could be regarded as suitable for the reaction system. Polysiloxane microemulsion can be obtained by the ring opening of D4 under the acid catalyst condition. - IR analysis proved that the ring opening of D4 has carried out successfully. The transparency and size distribution get higher as the amount of catalyst increases, while the particle size becomes smaller. - The microemulsions show stable properties when the amount of catalyst is 3.0 wt%~4.0 wt%. The reaction can reach to its equilibrium until the conversion of D4 monomer reaches to about 70%. The maximum molecular weight is 2.6×105 when the content of catalyst is 2.0 wt% in the microemulsion. The emulsification of OP-10 (2 %) and DBSA (3.0%) reaches to equilibrium in microemulsion. - The conversation rate of D4 is higher under the strong acid condition than that in weak acidity indicating that ring opening of D4 dramatically depends upon the amount of pH values. - As the amount of OP-10 increases, the particles size decreases and the size distribution widens. It is observed that emulsifier (OP-10) does not affect the transparency of the microemulsion in the case of the application of DBSA. As the dropping time of D4 prolonges, the particle size increases and the size distribution broadens. Taking into account of the stability of the microemulsions, the dropping time of the monomer around 30 min could be regarded suitable for the reaction of the system. This work has been supported by the National Natural Science Foundation of China (51409203), and the writers would like to express their great appreciation of the funding provided by the Education Department Funds of Hubei Province in China (Q20141705). Silas JA, Kaler EW, Hill RM. Effect of didodecyl-dimethylammonium bromide on the phase behavior of nonionic surfactant-silicone oil microemulsions. Langmuir. 2001; 17 (15): 4534-9. Jung H, Kim M, Kim Y, Oh S, Kang C-J, Yoon T-S, et al. Electrical characterizations of solution-processed dielectric layer of octamethylcyclotetrasiloxane. Microelectron. Eng. 2014; 118: 6-10. Bessmertnykh A, Ben F, Baceiredo A, Mignani G. Anionic ring-opening polymerization of cyclic organosiloxanes using phosphorus ylides as strong non-ionic bases. J. Organomet. Chem. 2003; 686 (1–2): 281-5. Soroory H, Mashak A, Rahimi A. Application of PDMS-based coating in drug delivery systems using PVP as channeling agent. Iran Polym J. 2013; 22 (11): 791-7. Mohorič I, Šebenik U. Anionic ring-opening polymerization of octamethylcyclotetrasiloxane in emulsion above critical micelle concentration. Polymer. 2011; 52 (5): 1234-40. Gee RP. Emulsion polymerization of dimethylcyclosiloxane in cationic emulsion: mechanism study utilizing two phase liquid–liquid reaction kinetics. Colloids Surf., A. 2015; 481: 297-306. Desmurs J-R, Ghosez L, Martins J, Deforth T, Mignani G. Bis (trifluoromethane) sulfonimide initiated ring-opening polymerization of octamethylcyclotetrasiloxane. J. Organomet. Chem. 2002; 646 (1): 171-8. Chen B, Zhan X, Yi L, Chen F. Cationic Ring Opening Polymerization of Octamethylcyclotetrasiloxane Initiated by Acid Treated Bentonite. Chin. J. Chem. Eng. 2007; 15 (5): 661-5. Chern C. Emulsion polymerization mechanisms and kinetics. Prog. Polym. Sci. 2006; 31 (5): 443-86. Rodriguez M, Marrot S, Kato T, Stérin S, Fleury E, Baceiredo A. Catalytic activity of N-heterocyclic carbenes in ring opening polymerization of cyclic siloxanes. J. Organomet. Chem. 2007; 692 (4): 705-8. Stoffer JO, Bone T. Polymerization in water in oil microemulsion systems containing Methyl Methacrylate. J. Disper Sci Technol. 1980; 1 (1): 37-54. Pestana K, Formariz T, Franzini C, Sarmento V, Chiavacci L, Scarpa M, et al. Oil-in-water lecithin-based microemulsions as a potential delivery system for amphotericin B. Colloids Surf., B. 2008; 66 (2): 253-9. Huang YB, Lin YH, Lu TM, Wang RJ, Tsai YH, Wu PC. Transdermal delivery of capsaicin derivative-sodium nonivamide acetate using microemulsions as vehicles. Int. J. Pharm. 2008; 349 (1): 206-11. Spernath A, Aserin A. Microemulsions as carriers for drugs and nutraceuticals. Advances in colloid and interface science. 2006; 128: 47-64. Theis A, Davis TP, Stenzel MH, Barner-Kowollik C. Probing the reaction kinetics of vinyl acetate free radical polymerization via living free radical polymerization (MADIX). Polymer. 2006; 47 (4): 999-1010. Liu J, Liu S, Wu S, Huang P. Preparation of epoxy modified polysiloxane microemulsions. 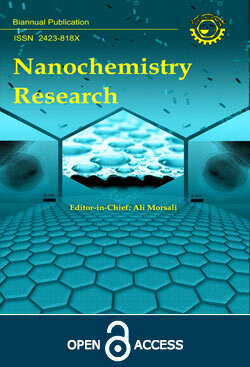 Iranian Polymer Journal. 2009;18(2):159-66. Palkovits R, Althues H, Rumplecker A, Tesche B, Dreier A, Holle U, et al. Polymerization of w/o microemulsions for the preparation of transparent SiO2/PMMA nanocomposites. Langmuir. 2005; 21(13): 6048-53. Zhuang Y-Q, Ke X, Zhan X-L, Luo Z-H. Particle kinetics and physical mechanism of microemulsion polymerization of octamethylcyclotetrasiloxane. Powder Technol. 2010; 201(2): 146-52. Zhao J, Pahovnik D, Gnanou Y, Hadjichristidis N. Phosphazene-promoted metal-free ring-opening polymerization of ethylene oxide initiated by carboxylic acid. Macromolecules. 2014; 47 (5): 1693-8. Liu J, Huang S, Li D. Vinyl Functional Polysiloxane Microemulsion: Preparation and Characterization. Iran Polym J. 2011; 20 (10): 825-34. Jiang S, Qiu T, Li X. Kinetic study on the ring-opening polymerization of octamethylcyclotetrasiloxane (D4) in miniemulsion. Polymer. 2010; 51 (18): 4087-94. Wu H, Jiao Q, Zhao Y, Huang S, Li X, Liu H, et al. Synthesis of Zn/Co/Fe-layered double hydroxide nanowires with controllable morphology in a water-in-oil microemulsion. Mater. Charact. 2010; 61 (2): 227-32. Barrère M, Capitao da Silva S, Balic R, Ganachaud F. Synthesis of Monodisperse Poly(dimethylsiloxane) Micro- and Macroemulsions. Langmuir. 2002; 18 (3): 941-4.